You’ve planned your move to your new home with strategic precision. Boxes are packed and labeled. You’ve de-cluttered, and you know where everything is going to go in your new home. 1. Discard Unused and Unwanted Items – A good rule of thumb is – if you haven’t worn it in a year – get rid of it. There are many non-profits that accept donations of used clothing, and you can take a tax deduction for doing a good deed while making your move easier. 2. 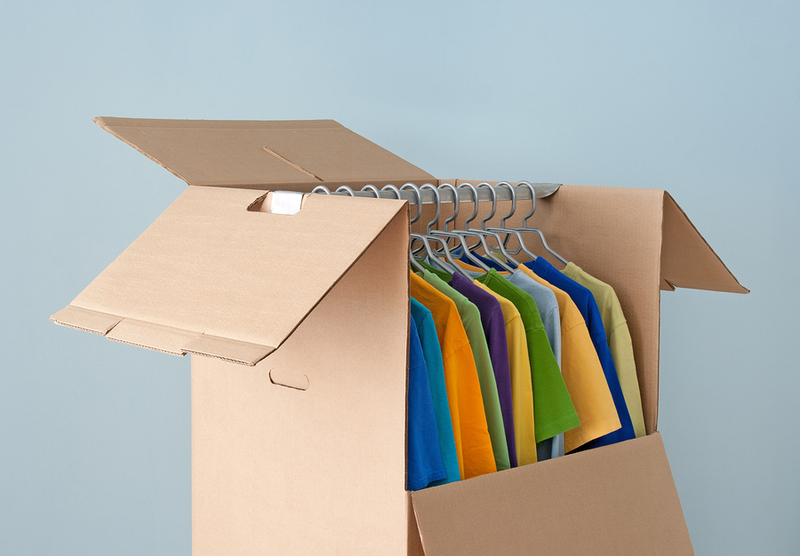 Make Use of Wardrobe Moving Boxes – Instead of having your clothing in a big pile, or stuffed into a box, using wardrobe moving boxes allows you to hang your clothing and move it virtually wrinkle-free. 3. Pack an Overnight Bag – Rather than feeling stressed once you arrive at your new home, having an overnight bag with a change of clothes and all of your essentials, medications, toiletries, etc. means you’ll be able to freshen up while you’re unpacking.